In May 1924, Gerrit Rietveld moved with his family to the house at Bachstraat 11 in Utrecht. 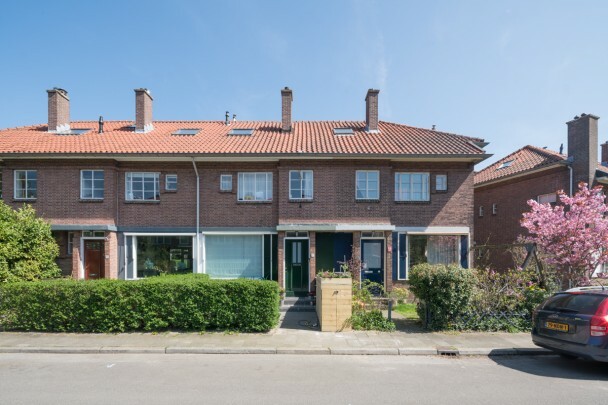 The houses in this neighbourhood were designed by Piet Klaarhamer, a background figure in the De Stijl movement but of tremendous importance to Rietveld. A walk through the area will reveal little that connects it with De Stijl. These are prim-and-proper traditional houses, sensitively designed but stylistically light years away from the house Rietveld created that same year with Truus Schröder. But they do show something of the ideas of De Stijl at times, particularly at the entrances. Klaarhamer continued along this path with two housing designs, a proposal for apartments (1928) and for a block of flats (1927). The last-named plan was the subject of international coverage and praise, but neither design was ever implemented.